The price of oil slipped below $103 per barrel following weak economic reports out of China and Europe. Oil, a globally traded commodity, typically swings with investor expectations for economic growth, world oil supply and demand. On Friday, traders saw signs of trouble from two continents. 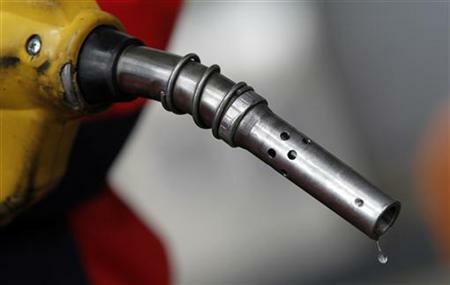 China, the second-largest oil consumer after the U.S., said its economy grew by just 8.1 percent from January to March. While that would be strong growth for most countries, it was the weakest in three years for China. A slowdown in China could have major implications for oil prices, since its burgeoning cities and factories have been among the primary drivers of world oil demand. In Europe, massive national debts continued to worry investors. Yields rose on government bonds issued by Italy and Spain, meaning those countries will have to pay more to borrow money from investors. Benchmark U.S. crude fell by 81 cents to end at $102.83 per barrel on Friday in New York. Brent crude lost 31 cents to end at $121.21 per barrel in London. Retail U.S. gasoline prices fell for the seventh day in a row, to a national average of $3.90 per gallon, according to AAA, Wright Express and Oil Price Information Service. A gallon of regular has dropped by about 3.5 cents in the past week. In other energy trading, natural gas stayed near 10-year lows, nearly unchanged to finish at $1.981 per 1,000 cubic feet. Heating oil was up less than a cent to finish at $3.1746 per gallon and gasoline futures lost 1.06 cents to end at $3.3461 per gallon.